Replacing slide-rules, drawing boards, and pencils and ink, contemporary computer assisted design inspires new creative possibilities in architectural conception. Geometry is eternal; however new tools allow more complexity in design and construction. Now if you can think it, you can build it! 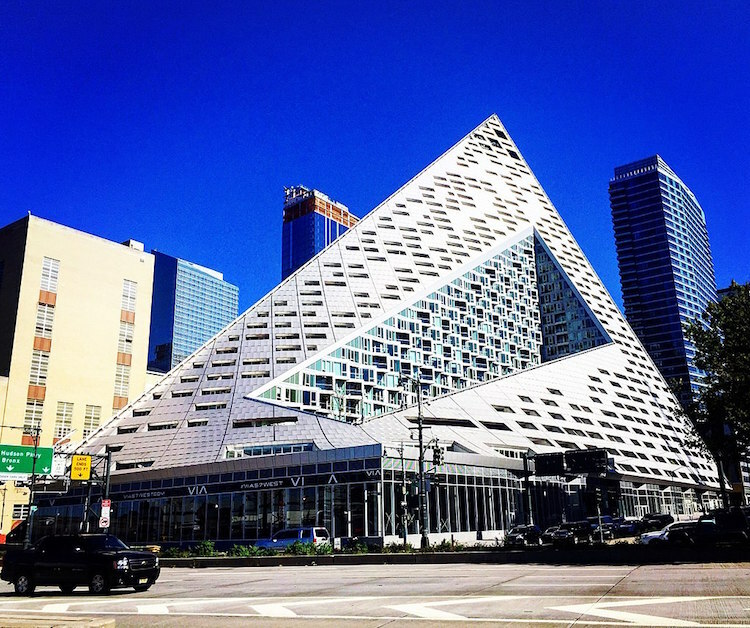 When I first saw the framework of the exciting new pyramidal NYC apartment building VIA 57 West, I thought about how the dramatic hyperbolic parabaloid shape (a hypar), which undulates like a wave, echoes the geometry my classmates and I envisioned years ago for Camp Farnam. Coincidentally, visiting John Jay College recently, where my in-laws worked for many years, I glimpsed a dramatic view of the top of Via 57 West, with its exposed steel frame like the Eiffel Tower. Whatever the scale or intent of new construction, there is room for sculptural form, geometry, and invention.